Top quality 3-section aluminium Youngman loft ladder with unique shoot bolt fastening mechanism, pivot arm operation, handrail & sturdy rubber feet. Top quality 3 section aluminium loft ladder with unique shoot bolt fastening mechanism, pivot arm operation, handrail and sturdy rubber feet for safety and ease of use. UPVC hatch: Insulated door, draught-sealed, wipe-clean, maintenance-free finish. Custom hatch: If the measurements above don’t match your hatch aperture, or you just prefer a painted finish, we can custom build a hatch for your specific requirements. Please mention this to our team. * Custom hatches are £46 extra. ...This is because you need a loft hatch that is hinged and so can swing downwards, like a door hung vertically. 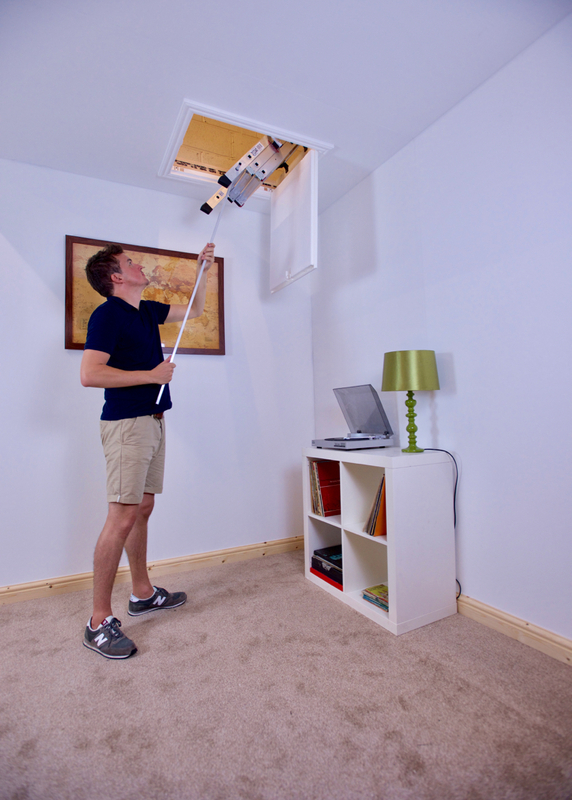 A conventional style push out hatch will not work with a loft ladder for two main reasons. 1. The legs of the loft ladder sit out in to the space directly above the hatch. You would normally push the conventional hatch up into this space, now blocked by the ladder legs, making the process cumbersome. 2. It defeats the purpose of having a loft ladder installed in the first place. You will need a secondary ladder to climb up and push out the conventional hatch. This ladder will then be in the way when you are using your aluminium loft ladder. 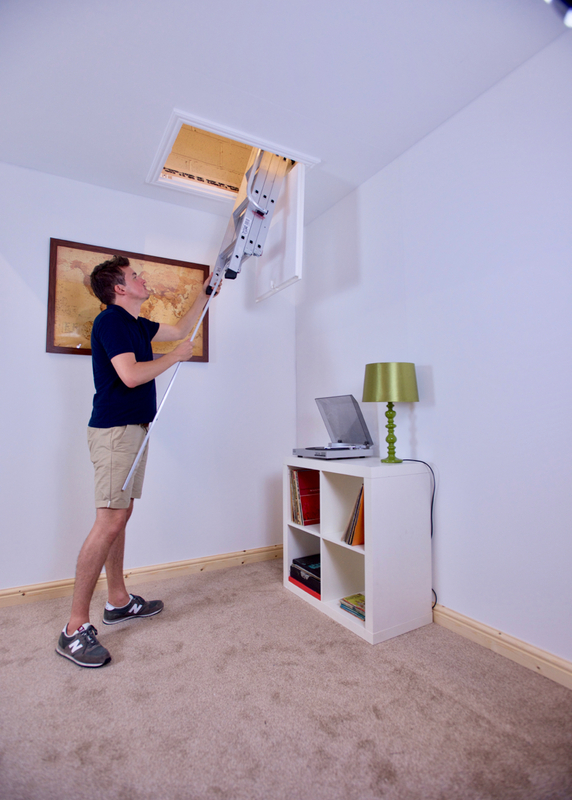 It is a very impractical method and will not solve the issue of creating easy, safe access into your loft.